You asked for it and it’s back… Fish Fry Friday! 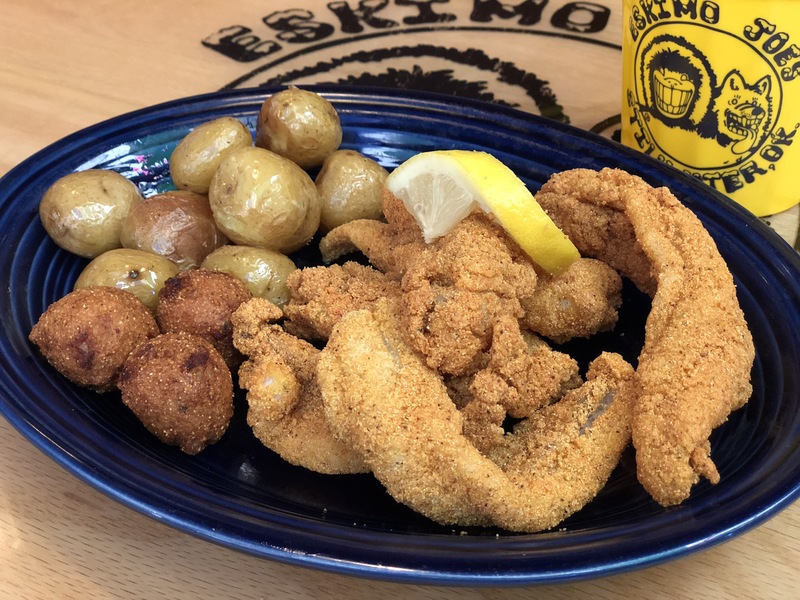 Our Fish Fry dinner consists of 5 catfish strips (full order) or 3 catfish strips (half order), hand-battered and fried fresh to order, served up with golden fried hushpuppies and your choice of side item with tartar sauce all for just $12.99. EJ’s signature garlic butter roasted baby bakers make a great addition to this plate!